2018 Horoscope for Aries reveals a fortunate year for your 'intimate connections', that expands and grows your self-knowledge, intimacy, finances, and shared resources, with an inner change bringing you more joy, support, opportunities, and new discoveries. This can be a period to combine your own resources, talents, and/or money with a partner that improves your outlook. 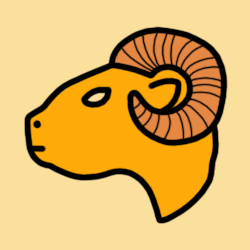 Your Aries horoscope for 2018 also streamlines your career, business, professional goals and objectives, ambition, reputation, and public life, with tests and challenges that strengthen the foundation in these areas. During this cycle, your career requires important decisions and choices, and make you more accountable for what you have and have not done. This influence is most potent for early Aries (born around Mar 21 - Mar 30). Our yearly horoscopes are divided into 3 distinct Aries decans. To know more about the Decans of Aries, click here. If you find this confusing, please read only the 1st Decan for all Aries 2018 horoscope predictions. Jupiter this year continues to enhance and develop your self-knowledge, intimacy, finances, and shared resources, with an inner change bringing you more joy, support, opportunities, and new discoveries - until 8th November 2018. From then onwards, Jupiter expands and grows your education, knowledge, travel, and philosophy, with a courageous and spirited approach to a broader perspective on life, revealing your adventurous side - for the rest of the year. Uranus this year continues to rapidly change your personality and the image you present to the world, while you are embracing change and pushing yourself beyond your normal limits - until 15th May 2018. From then onwards, Uranus revolutionizes your value system and attitude towards personal finances, while you pursue wonderful opportunities - until 6th November 2018. From then onwards, Uranus stimulates your personality and the image you present to the world - for the rest of the year. Eclipses bring drama and change, either in the physical world or inside your head. During January-February 2018, Lunar Eclipse on 31st January brings into light surprises or disclosures surrounding a romantic partner, or child, or a creative project; and Solar Eclipse on 15th February marks a new beginning or revised approach towards your friendships, or path to happiness and fulfillment. During July-August 2018, Solar Eclipse on 13th July marks a new beginning or revised approach towards your domestic affairs, home, property, and family; Lunar Eclipse on 27th July brings into light surprises or disclosures surrounding long-term goals, friendships, and group affiliations; and Solar Eclipse on 11th August marks a new beginning or revised approach towards love and romance, children, fun and leisure, or creative projects. Amid the eclipses, the North Node continues to bring joy and opportunities through your playful expressions, and a real need to stand out from the crowd - until 16th November 2018, after which the North Node brings joy and opportunities through home and family, and a real need to get your domestic life into order - for the rest of the year. Particularly around the eclipses during January-February and July-August, you can be greatly benefited depending upon how you transform and evolve by balancing the influences of the eclipses and the North Node. Jupiter this year continues to enhance and develop your self-knowledge, intimacy, finances, and shared resources, with an inner change bringing you more joy, support, opportunities, and new discoveries - until 23rd December 2018. From then onwards, Jupiter expands and grows your education, knowledge, travel, and philosophy, with a courageous and spirited approach to a broader perspective on life, revealing your adventurous side - for the rest of the year. Saturn this year continues to inspect your belief system, faith and philosophy, view of society and the world, and learning endeavours, with tests and challenges that strengthen the foundation in these areas - until 20th December 2018. From then onwards, Saturn streamlines your career, business, professional goals and objectives, ambition, reputation, and public life, with tests and challenges that strengthen the foundation in these areas - for the rest of the year. Eclipses bring drama and change, either in the physical world or inside your head. During January-February 2018, Lunar Eclipse on 31st January brings into light surprises or disclosures surrounding a romantic partner, or child, or a creative project; and Solar Eclipse on 15th February marks a new beginning or revised approach towards your friendships, or path to happiness and fulfillment. During July-August 2018, Solar Eclipse on 13th July marks a new beginning or revised approach towards your domestic affairs, home, property, and family; Lunar Eclipse on 27th July brings into light surprises or disclosures surrounding your career and reputation matters; and Solar Eclipse on 11th August marks a new beginning or revised approach towards love and romance, children, fun and leisure, or creative projects. Amid the eclipses, the North Node continues to bring joy and opportunities through your playful expressions, and a real need to stand out from the crowd - until 11th May 2018, after which the North Node brings joy and opportunities through home and family, and a real need to get your domestic life into order - for the rest of the year. Particularly around the eclipses during January-February and July-August, you can be greatly benefited depending upon how you transform and evolve by balancing the influences of the eclipses and the North Node. Jupiter this year continues to enhance and develop your partnerships, ability to relate with others, and powers of negotiation, with a freshness that makes you more appealing to others than usual - until 21st January 2018. From then onwards, Jupiter advances your self-knowledge, intimacy, finances, and shared resources - until 25th April 2018. Jupiter amplifies your partnerships, ability to relate with others, and powers of negotiation - from 25th April 2018 to 19th September 2018. From then onwards, Jupiter expands and grows your self-knowledge, intimacy, finances, and shared resources, with an inner change bringing you more joy, support, opportunities, and new discoveries - for the rest of the year. Eclipses bring drama and change, either in the physical world or inside your head. During January-February 2018, Lunar Eclipse on 31st January brings into light surprises or disclosures surrounding your home, family, and domestic life; and Solar Eclipse on 15th February marks a new beginning or revised approach towards your friendships, or path to happiness and fulfillment. During July-August 2018, Solar Eclipse on 13th July marks a new beginning or revised approach towards your domestic affairs, home, property, and family; Lunar Eclipse on 27th July brings into light surprises or disclosures surrounding your career and reputation matters; and Solar Eclipse on 11th August marks a new beginning or revised approach towards your domestic affairs, home, property, and family. Amid the eclipses, the North Node continues to bring joy and opportunities through home and family, and a real need to get your domestic life into order - throughout the year. 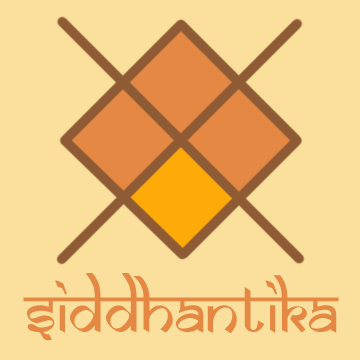 Particularly around the eclipses during January-February and July-August, you can be greatly benefited depending upon how you transform and evolve by balancing the influences of the eclipses and the North Node. This is an overview of what the planets have in store for you in 2018, dear Arians. Astrology never compels, but you can use your free will to tweak the energies of the planets to your advantage.